Prakasa Rao was born in Kapileswarapuram, Krishna District. He worked as assistant and associate director for LV Prasad. He worked for Vijaya Productions's 'Shavukaru' and KV Reddy's 'Patala Bhairavi' and done a small role in the later film. His directorial ventures in Telugu are like 'Parivartana', 'Palletooru' and 'Jayam Manade'. He directed 25 films in Hindi. In Tamil, he directed the legendary actors like Sivaji Ganeshan, Gemini Ganeshan and MGR. He directed nearly 60 films in all languages. Got star image with the film 'Bhakta Kannappa' (1976). Sarath Babu is introduced an actor by legendary director K. Balachander with a tamil film, which was a remake of telugu film 'Chilakamma Cheppindi'. He acted in Telugu in the direction of K Viswanath, K. Raghavendra Rao, Bapu, Jandhyala, Raviraja Pinisetty and EVV Satyanarayana and in Tamil in the direction of Balachander, Bharati Raja, Balu Mahendran, RC Shakti, KS Ravikumar and Mani Ratnam. He acted in over 300 films. Vijaya Nirmala is acted in more than 250 films and directed 47 films so far. She entered in the film world as a child artiste at the age of 7 years. She first acted in a Tamil film, starred by TR Mahalingam. Her last film as a child artiste is 'Panduranga Mahatyam'. Vijaya Nirmala acted as a female lead first time in a Malayali film, starred by star actor Prem Nazir, at the age of 16 years. Her first Telugu film as a heroine is BN Reddy's 'Rangula Ratnam'. Bapu's 'Sakshi' is her third Telugu film. 'Kavitha', the Malayali film is her first directorial venture. 'Meena' is her first Telugu film as a director. Before marriage, she acted in 50 films and after marriage, she has done more than 200 films. Rajasulochana was born in Vijayawada on 15 August 1935, but brought up in Tamilnadu. In childhood, she trained in bharatanatyam. She acted in nearly 300 films. She has given stage performances like Bhama Kalapam, Artha Nareeswara, Srinivasa Kalyanam and Ashta Lakshmi Vaibhavam for her dance centre 'Pushpanjali'. Raghavaiah was born in 1919 in Krishna District. He trained in Kuchipudi dance form. He directed nearly 35 films. Janaki has been entered in the film world with the movie 'Shavukaru'. Late Tekumalla Venkoji was her fater. Krishna Kumari, the well known actress, and Devaki are her younger sisters. She have another three brothers. 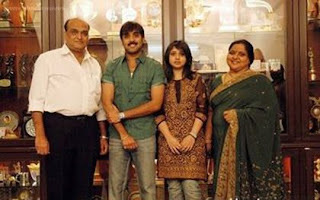 She married Sankaramnchi Srinivasa Rao. Padmaraju was born on 24 June, 1915 in Tirupathipuram, Godavari District. He has written 'Patnavasam', a stage play for All India Radio. Shavukar Janaki played the female lead role in that play which was broadcasted as a weekly serial upto 6 months. We know that 'Galivana', his famous short story, got second prize in the international competetion held by the magazine Newyork Herold Tribune. 'Mana Vuri Katha', starred by Krishna and Jayaprada, is based on Padmaraju's novel 'Nallaregadi'. He died on 17 Feb, 1983. YV Rao entered in the cine field in 1925 and joined in Maniklal Joshi Film Company, Mumbai and acted in some mookies. Later he joined in Arthesher Irani's Imperial Company. He worked in Art Department of General Pictures Corporation, Madras. Later he worked as assistant director to Raghupathi Prakash and acted in his mookies like 'Gajendra Moksham' and 'Rose of Rajasthan'. Tapi Dharma Rao, one of the great writer in Telugu literature, was born on 19 Sept 1887. He entered in film world as a writer with the film 'Mohini Rukmangada' (1937). He has been written for 37 films in a span of 25 years. He has written some lyrics also. 'Bheeshma' was his last film. He worked for the film 'Raju-Peda' (1954) as a executive producer. He has written as introduction to 'Mahatma Gandhi', the first documentary film. He died on 8 May 1973. Mirjapuram Raja was born on 11 Nov, 1896 at Nuzvid, Krishna District. Meka Venkatramaiah Appa Rao Bahadur was his original name. He established a film studio called Jaya Films at Alwarpet, Chennai. 'Jarasandha' was his first movie as a producer, directed by Chitrapu Narasimha Rao and starred by Vemuri Gaggaiah and MV Rajamma. Actress C Krishnaveni was his second wife while Anuradha Devi, a producer, is their daughter. Later Jaya Films turned as Sobhanachala Pictures. 'Bhatka Prahlada' was the first film on this new banner. Raja turned as a director with the film 'Keelu Gurram', an ANR starred. He introduced some great personlities to the film industry like Anjali Devi (Gollabhama), Chadalawada Narayana Rao (Jeevana Jyothi), NT Rama Rao (Manadesam), Ghantasala (Lakshmamma), Kamala Kotnis, Ramesh Naidu (Dampatyam), Tripuraneni Gopichand (Lakshamma), Jr. Sriranjani (Bheeshma), P. Leela (Manadesam) and Jikki. His 'Keelu Gurram' created records at box-office as collected Rs. 40 Lakhs, which was a huge amount at that time. This was the first film dubbed into Tamil. Raja died on 4 May, 1974. Vittalacharya was knowned as 'Janapada Brahma' with his folklore movies. His first folklore film as director was 'Jaya Vijaya', the Kantha Rao starrer. Their combination became very successful. The reason behind to grown up the career of Kaikala Satyanarayana as villain was Vittalacharya's films. Vitalacharya changed the name of actress Alivelu Manga as Jayamalini, with the film 'Aadadani Adrushtam' and turned her career with film 'Jaganmohini'. He was a kannadian. So, initially he didn't know Telugu. But he learned the language within a short period with dedication. He liked chandamama stories so much and made the films with those type of stories. He was born on 20 Jan, 1920 in Udayavara, in then Udupi Taluk to middle class Madwa Brhamin couple. He passed away on 28 May, 1999. Gudavalli Ramabrahmam was born to Venkaiah and Bappamma on 24 June 1902 at Nandamuru, Krishna District. He finished intermediate at Bandar National College in 1918. He got married Saradamba, d/o Koganti Nagaiah in 1920. Before entering into the film world, Ramabrahmam entered into the business field and established 'Friends & Co', a book stall at Vijayawada in 1926. In 1932, he took the responsibilities of the magazine 'Praja Mithra', published from Madras. So many stalwarts like Tapi Dharma Rao, Samudrala Raghavacharya, Narla Venkateswara Rao and Tripuraneni Gopichand involved in the publishing of the magazine. After sometime he worked as Managing Director of Motion Pictures Combines Studio. He did as Production Executive of the films 'Seetha Kalyanam' (1934) and 'Krishna Leelalu' (1935), made by P.V. Dasu under the banner of Vel Pictures. He did 'Bala Yogini' (1937) as Associate Director. 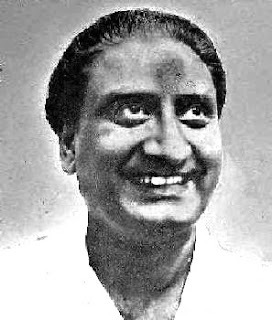 Ramabrahmam turned producer and director with the film 'Mala Pilla' (1938). It was made under the banner of Sarathi Films and released in 12 centres. It was a revolutionary film on inter-caste marriages. British Govt. banned his next film 'Raitu Bidda'. But he finished the film with so much courageousness and released it. It became super hit and brought best director award to Ramabrahmam. After that he made some meaningful films like 'Illalu', 'Apavadu', 'Patni', 'Pantulamma' and 'Mayalokam'. He passed away on 1 Oct, 1946. Dasari Kotriratnam was born at Prathipadu, Guntur District. She entered on stage at the age of 9 years. She acted as Lohitasya in 'Harischandra', China Rangarao in 'Bobbili Yuddham', Kusha in 'Lava Kusha' and Prahlada in 'Prahlada'. She trained in classical music. Kotiratnam established a theatre group and performed some stage plays five years continuously like 'Usha Parinayam', 'Sashirekha Parinayam', 'Kanakatara', 'Krishna Leela', 'Ramadasu' and 'Savitri'. She did male roles such as Narada in the plays 'Sati Anasuya' and 'Gangavataranam', Satyavanta in 'Savitri' and Sri Krishna in 'Sakkubai'. Her first role as film actress was Sakkubai in 'Sati Sakkubai', directed by Charu Chandra Rai. This was made by Bharatha Lakshmi Films from Kolkata. She produced the film 'Sati Anasuya' with the partnership of Aurora Film Corporation under the direction of Aheen Chowdhary. She she was the first female producer in India. She played the title role Anasuya. The film released on 4 Oct 1935. 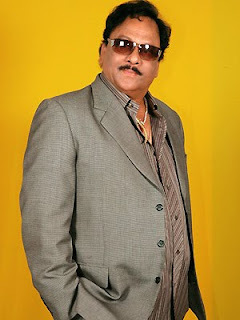 Kotiratnam acted in the films 'Lanka Dahanam', 'Mohini Bhasmasura', 'Vara Vikrayam', 'Panduranga Vithal', 'Varudhini', 'Paduka Pattabhishekam', 'Gollabhama', 'Bangaru Bhoomi', 'Agni Pareeksha' and 'Chandravanka'. Kotiratnam, who had given the service to theatre and cine fields nearly 45 years, died in Chilakaluripet on 21 Dec 1972. Disco Santhi has been performed for most songs in less time. She danced for more than 700 songs in a span of just 13 years. In childhood days her sorrowful experiences were unimaginable. Anandan, her father, was a well known lead actor in Tamil in those days. He gained the name as 'Viyayapuri Veeran Anandan', since then his folklore movie 'Vijayapuri Veeran' got success. He acted as hero in some Telugu movies also. 'Mugguru Veerulu' was one of those movies, which he acted along with Kantha Rao. Likewise he did the film 'Adavi Veerulu'. Actually ancestors of Anandan were belongs to Chittoor. They were Telugu people. Santhis's grand father settled in Chennai. So they grew as Tamilians. They are seven children to their parents. Four girls and three boys. She is the third child. Theirs's a rich family. They had three foreign cars. But Anandan lost money as a film producer with two films. They sold the foreign cars for existence. Only Ambassador was left. Anandan planned to make his third film even in this critical situation. He thought to shoot the film in Mysore, as to utilise the subsidy from the Karnataka State Govt. Oneday he went to Mysore along with his wife and their youngest daughter. He didn't noticed the calamity to come. The car, which they were travelling, got accident. Anandan and his wife injured seviourly. His spinal cord from neck bone got damaged. Also his wife's spinal cord and right leg got ruined. His daughter survived with small injuries. Somebody joined them into a private hospital in Bangalore. In that hospital, Anandan spent one and half years, and his wife Lakshmi, two years. What the fortune was, the doctors in the hospital were his fans. With big hearts, they have done the surgeries to Anandan and his wife to free of cost. Anandan's fans in Bangalore were bear the other expenses. Santhi and her three sisters only stayed at their house in Chennai, that two years. No ralative has come to their house in the chaotic situation. Dhanika, an Ayah, who was living in their outhouse, look after them. There was no income as they were all children. So they took money instead of giving the silver and copper things in the house, and passed those days. Even they sold their mother's silk sarees after those things were over. They ate food once in three days time in sometimes. Then Santhi was in third standard. She was sent from the school because of not pay the fee. After discharge from the hospital, Anandan acted in stage plays with wig which covered the bandage on head. He sent the money to his daughters from Bangalore. Lakshmi came back to house after two long years, but she took another two years to walk. Santhi was no desire on films in those days. At first her elder sister got the chance to act from the ace director K. Balachander as heroine. But she didn't utilize the opportunity as she was in love with a guy, who was working in telephone department and got married him. In that time Santhi's photographs published on the cover page of 'Gemini Cinema', a film magazine, which was picturised by the photographer Hareesh. A producer from Malayalam, father of the actor Riyaz Khan, saw the photograph and liked her. He take her as female lead opposite superstar Mohanlal in the the film 'Lal in America'. Unfortunately the movie was washed out after 35 days shoot. Then she done as a dancer in a club song for a Tamil film. Since then she has done 700 films as a dancer in a span of just 13 years. She got the name as 'Disco Santhi' with the disco songs. She did films in Telugu, Tamil, Kannada, Malayala, Hindi and Oriya. She did 80 films in Hindi while more than 200 films in Telugu. She became close to the audience by 'Rowdy Alludu' and 'Gharana Mogudu', the Chiranjeevi's films. The song 'Bangaru Kodipetta' in 'Gharana Mogudu' got craze till today. Santhi and Srihari were worked together in 'Dadar Express', first time. Srihari was one of the five villains. Srihari proposed her, when she was in Rajahmundry for the shoot of '420', the Nagababu starrer. Her mother and his parents given green signal to theri marriage. But they got married after six years of Srihari's proposal. In meantime she did the marriage of her younger sister to actor Prakash Raj. And bought flats for her brothers. Then after she got married Srihari and put fullstop to dances. She given birth to two sons Sashank and Meghansh. Santhi did as heroine roles also. She acted as a heroine along with Jayasudha in 'Vinta Kodallu'. She was the female lead in a bollywood movie 'Jehar'. She and Srihari established Akshara Foundation, named after their dead daughter, and started service to the society. 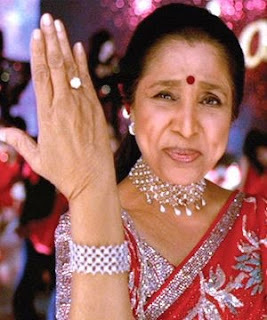 Asha Bhosle, the wonderful singer, is entertaining the people with her sweet voice from the age of eight. In her career span of nearly seven decades, she sung more than twenty thousand songs in 14 languages. Her voice dominated her age. In initial days, people compared her with Lata Mangeshkar, her elder sister. But with her own voice and style, she gained people's attention on her gradually. Asha was born in a musical family on 8 September, 1935 at Gore in Maharashtra. Deenanath Mangeshkar, her father, was an expert in music. Asha entered in the film world with the Marathi film 'Chala Chala Maajhya' as a singer at the age of 10. Her first film in Bollywood was 'Chanariya'. She got the opportunity to sing a solo song in 'Raat Ki Rani'. Even after, she couldn't find the recognition because she was in the shadow of Lata. It took 30 years for people recognized her while she had sung so many songs like 'paan khayen sayya hamaari saavlee suratiya' (Teesri Kasam). She didn't adopted anybody and established her own voice. In that time all music directors like Naushad, C. Ramachandra and Bheemchand Prakash were waited for Lata for songs and didn't try for another singer. So Asha couldn't get sufficient offers. At the same time her married life has disrupted. She took the responsibility of patronage of Hemanth, Varsha and Anand, her children. Asha has just recognised as singer of vamp songs when the time of Lata, Geeta Dutt and Surayya were raging. She was confined to songs for caberet dances. O.P. Nayyar was the first music director who recognised the sweetness of her voice. So many songs were born by their combination. Finally Asha stands equally to Lata in the 1960s. 'inamina dikadika dayidayi damanaka', which was composed by Ramachandra, gained so much popularity because of Asha's voice. After that the audiences were tingled to the song 'piya tu.. ab to aaja', sung by her. Asha's voice have obtained new beautiness with Nayyar's tunes. R.D. Burman loved her than her songs. They both created so many beautiful songs from 'O mere sonare sonare sonare' to 'lekar hum deevana dil', together. Afterwards they got married. 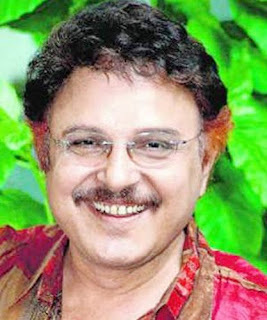 But Burman got downed after the entry of Bappilahiri. Burman didn't withstand as Asha is singing to the tune of Bappi. He felt distressed deeply. He went far away from Asha. His death has given immense shock to Asha. She showed honour on Satyam, the well-known Telugu music director. She sung the song 'idi mouna geetam' for the film 'Paalu-Neellu' without remuneration, which was composed by Satyam. In Telugu, she sung for the movies like 'Chinni Krishnudu', 'Ashwa Metham', 'Antham' and 'Pavitra Bandham'.